Worried by the high log of judgment debts it inherited from its predecessors, the Federal Capital Territory Administration has urged its legal officers to brace up to the challenge of offering the best services and legal representations possible to ensure that the administration does not incur these debts anymore. 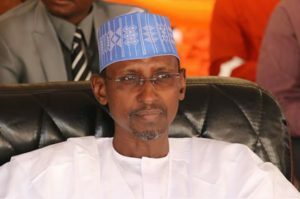 Minister of the Federal Capital Territory, Malam Muhammad Musa Bello who spoke at the opening ceremony of the Continuing Education Programme of the Legal Services Secretariat, noted that the programme was timely, coming against the background of the ongoing effort at the review of the FCT Master-plan. He warned that the administration would no longer tolerate the activities of officers whose acts and conducts open the flanks for people to take advantage of the Administration in the law courts. 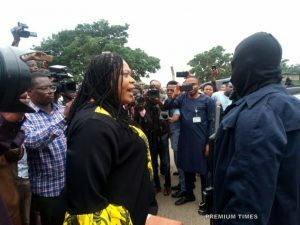 According to the Minister, any act that exposes the administration to legal embarrassment henceforth would be thoroughly investigated and responsible officers sanctioned appropriately. He urged all FCT officers to ensure due diligence in the discharge of their functions to the public to stem unnecessary litigations. He said all legal officers posted to various Secretariats, Departments and Agencies (SDAs) must be alive to their role as legal advisers to guard against any act that would expose the Administration to legal ridicule. Malam Bello however commended the Secretariat for its efforts and sacrifices over the years. He expressed optimism that the in-house continuing legal education programme would x-ray challenges currently confronting the administration with a view to achieving more robust legal services in the coming years. The FCT Permanent Secretary, Sir Chinyeaka Ohaa, who also spoke at the occasion, commended the secretariat for putting together a very rich and insightful programme with excellent content and faculty. He said recent successes in legal battles have shown that the Secretariat has tightened up its loins and braced up to the demands of its mandate. Ohaa called for hard work and devotion to duty by the Secretariat to help preserve the Abuja master-plan as well as check the efforts of litigants that are seeking to take advantage of the operations of the FCT Administration. Earlier in his welcome address, the General Counsel, FCT Legal Services Secretariat, M.B Umar explained that the continuing Legal Education Programme was conceived in accordance with the NBA “Mandatory Continuing Legal Education Rules 2008”, to give regular professional training as well as the knowledge and skills to practioners in both private and public bar. He said the programme has helped to equip participants with contemporary knowledge not just in law but other areas of leadership, budgeting accountability and development. Umar appreciated the FCT Minister and the Permanent Secretary for their persistent support and laudable initiatives that have helped to transform the attitude and aptitude of staff in the legal secretariat in particular and the FCTA in general. GAMBIA’S ADAMA BARROW ARRIVE NIGERIA, AS GUEST LECTURER TO DEFENCE COLLEGE.